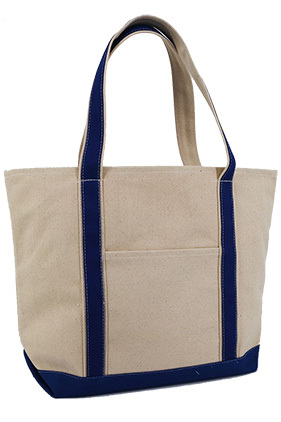 Heavyweight 16oz cotton canvas with a gusseted bottom. Non-branded label/tag. Stands up right with a flat bottom. 22.5" contrast handles with a 10" drop. Exterior pocket *8.75" H x 8" W.
Interior accessories pocket with key fob. *23" x 15" x 7.25"